Philosophy for busy people. 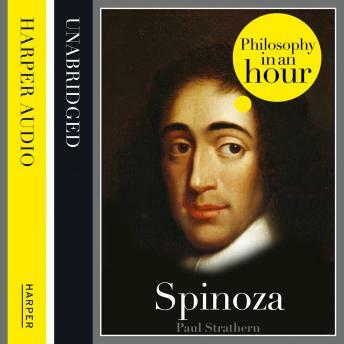 Read a succinct account of the philosophy of Spinoza in just one hour. Spinoza's brilliant metaphysical system was derived neither from reality nor experience. Starting from basic axioms (assumptions), by means of a series of geometric proofs he built a universe which was also God - one and the same thing, the classic example of pantheism. While his system may seem an oddity today, Spinoza's conclusions are deeply in accord with much of modern thought, from science (the holistic ethics of today's ecologists) to politics (the idea that the sate exists to protect the individual). The compelling beauty of both Spinoza's system and conclusions are unequalled in the history of philosophy. Here is a concise, expert account of Spinoza's life and philosophical ideas that is entertainingly written and easy to understand. Also included are selections from Spinoza's work, suggested further reading and chronologies that place Spinoza in the context of the broader scheme of philosophy.